ID's flagship publishing product is a custom-built, fully-flexible piece of mediaware called IDenterprise version 4. Add, manage, categorize and edit your content (text, images, video, audio, office documents, PDFs etc.) on your website. IDmedia accepts content directly from Adobe® InDesign® (or any other XML enabled application) allowing you to export your print content straight to the internet. Manage and grow your community of users with user generated content from videos to personal blogs. All facets of user interaction is covered in IDsocial including forum style discussions, polls, user comments, competitions, content rating, private messaging, personal profiles and e-mail newsletters. Sell your services and products directly to users by adding e-commerce to your website. Not just limited to physical merchandising and products IDstore can process print subscriptions and sell digital media such as high quality images or audio downloads. Keep an eye on your website’s performance using trends and statistics. Compare your visitor numbers to your competitors’ with easy-to-read graphs and charts. Integrate third party data into a dashboard that allows you to track vital information about your visitors. Create a full job site within your media site. Allows for integration into existing websites. A fully functional job website that allows job hunters and employers to transact either through self referral or mediation. ID Digital Media is one of NZ’s leading online advertising strategy companies and is well placed to assist you in realising the potential of your website to capture it’s share of the growing online advertising market in NZ. Adcast is how your site makes money and how you check how well it is doing. It is the final piece of the puzzle for any publisher looking to take the web seriously. Every media company knows they need to sell ads on their website. Very few of them know how to answer the next couple of questions: How do I sell them? How do I even get them up there? What types of ads should I run? How well does my site perform for my advertisers? Adcast answers all these questions. It is a complete package of third party solutions that includes all adserving and reporting as well as the tools you need to track the performance of your site. Think of it like plug-n-play moneymaking. It is the soft knowledge component where ID transfers our commercial skills to the online publisher. IDenterprise4 will always keep your web offering at the cutting edge. Rather than working on individual sites, ID’s entire development team works to continually improve the core IDenterprise product, rolling out new features as they are built. Think of it like buying a car that automatically has its engine upgraded free of charge whenever any new improvements are made available - while you are driving around in it. 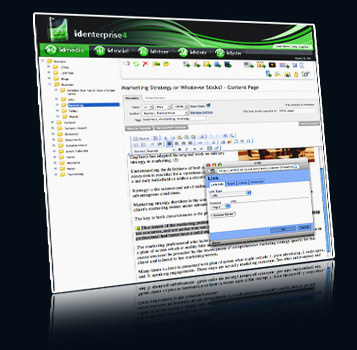 In order to maintain ongoing innovation in your web site, IDenterprise4 is sold as a license. The key reason for this is any web strategy is necessarily emergent. We simply do not know what is going to be considered ‘mandatory’ for all media sites in twelve months time. The license model works out to be much more affordable for our media clients than the ‘build and forget’ approach. If you ‘build’ your website and ‘forget’ it for a couple of years it is only ever going to be relevant for a couple of months and will have to be re-built again. 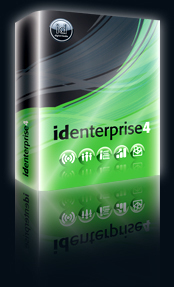 An IDenterprise4 license means ID is always building and never forgetting your web offering. IDenterprise4 can be deployed and live behind a completely redesigned magazine or newspaper website in a matter of weeks.